Read this if you are a Calvinist. Read it if you don't understand Calvinism. Read it if you dislike Calvinism! I am certain you'll be encouraged, and you might even be pleasantly surprised. Both timely and helpful, from the first page to the last this refreshing book encouraged me to delight in Jesus, the author and finisher of our faith. Jeff dives into some heady theology with wit and clarity, but above all with gospel-centred lightness by constantly extolling our Saviour. 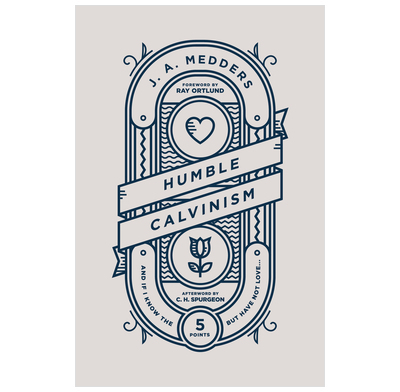 Calvinists should be humble and happy. It’s sadly not always the case, and Young, Restless and Reformed has too often become Proud, Aggressive and Tiresome. The trouble is we’ve misunderstood and misapplied Calvinism. J.A. Medders has done us all—and me in particular—a very great service in providing some helpful and necessary correction. I was both convicted and encouraged by his exhortation, and you will be too.